Applied in the right way, digital innovation has the power to increase access to services, support the flow of information and unlock finances, helping to make significant improvements to people’s lives. But only if applied in the right way. To ensure that everyone benefits equally from the opportunities that technology presents, it’s vital that it is relevant and accessible to all users and that digital practitioners are aware of the risks of misusing it. In the early 2000s, a group of influential development practitioners came together to develop a set of ground rules that aimed to mitigate the risks of applying digital technology in development settings. This culminated in the Principles for Digital Development, nine guidelines of best practices for inclusive digital programming. The principles are available as public resource to help guide ICT4D funders and partners in the effective use of digital technology. Since then, more and more organisations are choosing to endorse the principles and aspire to their ideals. 155 organisations have signed up, including many of the key technology funders, such as the Department for International Development (DFID), who became the 100th endorser of the principles in May 2018 and incorporated the principles into its new Digital Strategy. With DFID and other funders mandating adherence of the principles, it’s critical that implementers are able to demonstrate how their programmes reflect the principles in their design and implementation and how they are making a positive contribution to the digital landscape. 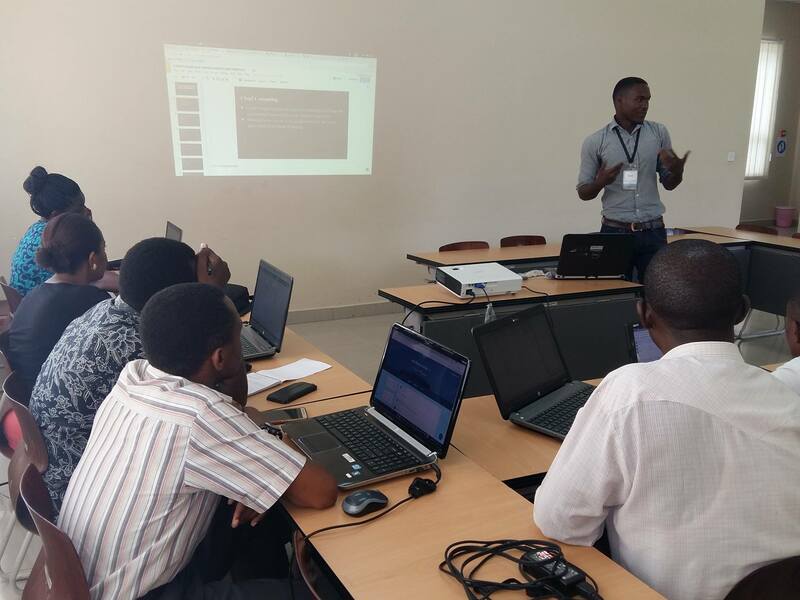 Digital Opportunity Trust (DOT) Tanzania has embraced the principles in its work to support youth to create and apply digital solutions that have a positive impact in their communities. DOT Tanzania’s Country Director, Eliguard Dawson, initially learnt about the principles through participating in a workshop hosted by the Human Development Innovation Fund (HDIF). HDIF funds DOT’s Fusion Programme, a unique peer-to-peer, social learning model that provides digital skills and entrepreneurial empowerment to out-of-school, out-of-work young people in the community. Inspired by what he had learned, Eliguard and his team started to explore how the principles could be used to strengthen their work. It opened their eyes to some of the challenges that were emerging during implementation of their programme. The first step was to "Design with the User" and meet with teachers and students to gather feedback about their experiences, needs and challenges. This was a turning point for the project because the users were engaged and listened to. Moreover their inputs were incorporated into the project design. Their user feedback helped to solve some of the main bottlenecks of the project. Recently, DOT developed an innovative online platform called Innojo that aims to support young social innovators to identify and solve community challenges and to facilitate collaboration among young people from different continents. The Innojo platform was designed and created by youth for youth to ensure the “Design with the user” principle is put into practice. The FUSION project partners with the Vocational Education Training Authority (VETA) to bring digital skills to teachers and students. VETA has more than 25 centres across the country and the “Design for Scale” principle was put into use to design a programme for five centres that could later be replicated in all 25 centres across the country. Through its network of Teacher Facilitators, DOT conducted workshops on the principles for all teachers and decision makers at four VETA centres. A few teacher facilitators were selected and coached over time to become “digital champions” at each centre. Meanwhile, DOT built the capacity of teachers to "Be Collaborative" and work together virtually to share learnings and best practices around digital technology. For more on their application of the principles, see HDIF’s Principle into Practice briefing paper on DOT [PDF]. DOT was introduced to the Digital Principles by HDIF, a Palladium project funded by UK AID. HDIF is investing in a range of innovations in health, education and WASH, many of which have a digital component. HDIF initially adopted the Digital Principles in 2016 with DFID’s backing, to support best practice in use of digital in HDIF’s operations and its engagements with grantees and partners. A key part of the process was to support HDIF’s grantees to know and understand the principles to strengthen the use of digital technologies in their programmes. Since then, in partnership with DIAL, HDIF has promoted the principles amongst grantees and partners and developed a host of learning resources to promote their uptake. The Digital Impact Alliance (DIAL) acts as the steward of the principles and is supporting organisations around the world to use the principles in their work, creating and sharing resources to support their uptake, including the recently launched Principles 101 Training Guide that DIAL will be introducing to practitioners at the Bond Conference in London this March. To learn more about the principles go to digitalprinciples.org and to join the conversation head over to the online community forum. Discuss this topic further at the Delivering inclusive digital development session at the Bond Conference - what does locally-grown technology look like and how do we balance people's rights with the rush for innovation?